I have two tan leather sofas - I need help choosing a colour scheme and wallpaper for a feature wall. I want to incorporate black into the scheme. 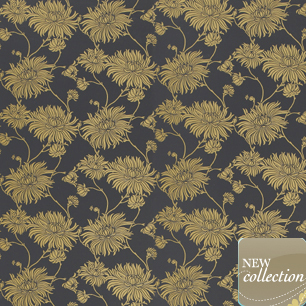 Something like the charcoal and bronze of the Laura Ashley Kimono range of wallpaper might suit you Dawn and would be stunning for a feature wall. I would use this for one wall and would find a paint colour that was like the bronze but several shades lighter for the remaining walls which would make the room lovely and warm. The charcoal of the background of the paper gives you the look of black without the harshness.